Summary: The greatest nightmare for the free world today would be a master terrorist hiding somewhere, controlling and coordinating radical Islamic groups at the highest level around the globe. When President Sally Allworth decides to reestablish America's Mogadishu embassy in Somalia weeks before Election Day, her challenger says she is playing politics with American lives. That turns out to be true when the embassy is attacked and hostages are taken. Embassy station chief Gunter Conner and Marine captain Brooke Grant end up the unlikely survivors of this Benghazi-style attack. Suddenly, they are the only hope for saving their captured colleagues. 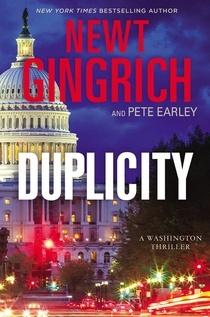 DUPLICITY by Newt Gingrich and Pete Earley brings together international intrigue, Washington politics and terrorism in one fast paced political thriller. The novel is set during the final weeks of an American presidential election campaign. President Sally Allworth decides to reopen the embassy in Mogadishu, Somalia to show her as tough on terrorism and give her an edge in the campaign. A report by the CIA declaring Mogadishu safe for the embassy plans is written to support the president and the chair of the House Intelligence Committee remains silent despite some valid concerns about the project. Things soon turn chaotic when the embassy is attacked, several lives are lost and hostages are taken. In order to save her re-election, the president must now focus on saving the hostages. One of the survivors of the embassy assault is Marine Captain Brooke Grant who was assigned to the embassy as military attaché. Captain Grant is a recent hero for stopping a terrorist bombing outside the U. S. Embassy in London. Coincidently, the bomber was a member of the Somalia based terrorist group Al-Shabaab, Grant now becomes the key to getting the hostages released. Concurrent with this activity, a Somali, Rudy Adeogo, is running for Congress out of a district in Minneapolis, Minnesota. Adeogo was a dark horse candidate until the opposition candidates were implicated with corruption. With his new found fame and Somali ethnicity, he is caught up in the politics of the presidential election. He also carries a secret about his relationship with a high ranking Al-Shabaab terrorist. DUPLICITY comes across as very real and reminds the reader of some past U.S. Embassy assaults, including one in Mogadishu. It is also interesting that the authors developed the main characters as a females, one as president and the other as an African-American Marine. Former Speaker of the House, Newt Gingrich, brings a knowledge of inside Washington, D.C. that adds an air of plausibility to the novel. 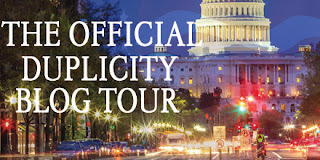 DUPLICITY shines a light on the brutal world of terrorism as well as the politics and power that runs Washington D.C. today. 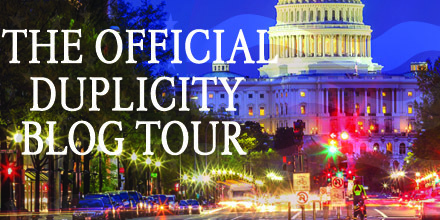 DUPLICITY is a realistic fast paced novel that will be of interest to those who enjoy a good political thriller. Authors Gingrich and Earley also plan a follow-up novel, TREASON, featuring Captain Brooke Grant and several other characters from this book. 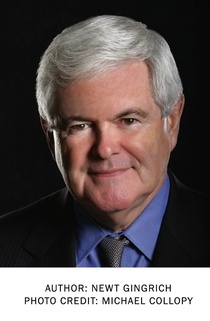 Newt Gingrich is the former House Speaker and 2012 Presidential Candidate. Gettysburg, Pearl Harborand To Save America: Stopping Obama's Secular-Socialist Machine are three of his 14 New York Timesbestsellers. He is a regular guest on national political shows. Pete Earley is a former Washington Post reporter and author of 13 books, including four New York Timesbestsellers. He was a finalist for the 2007 Pulitzer Prize. I had no idea Newt Gingrich has a novel out.